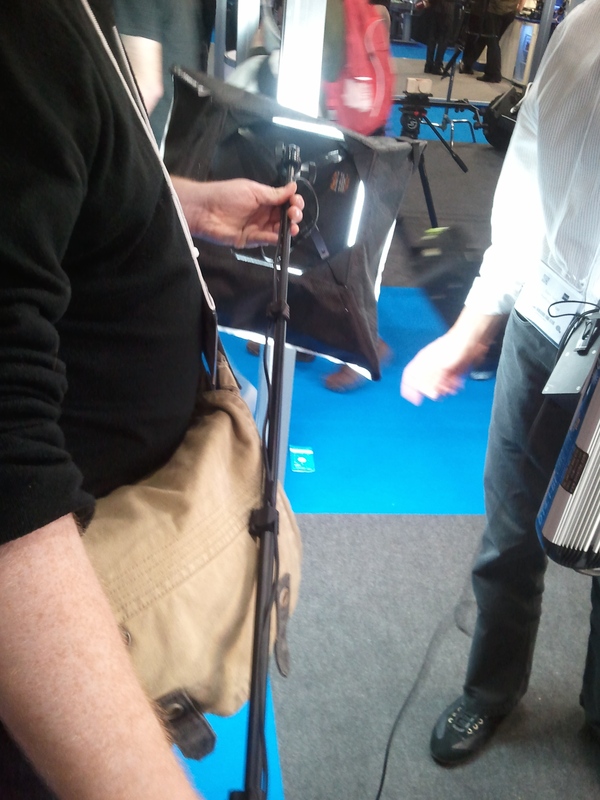 A fantastic discovery at the recent BVE exposition in London where I was primarily looking at new developments in LED lighting for video and film. 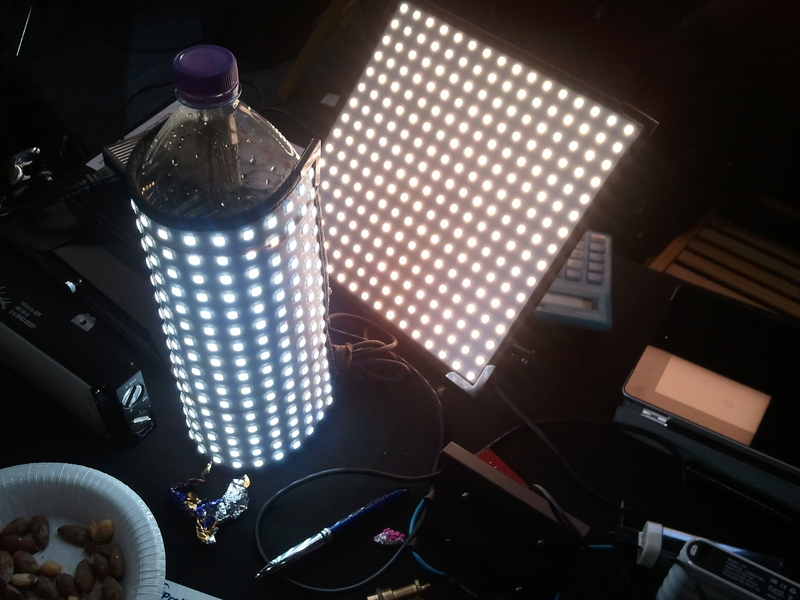 So here was this amazingly bright LED panel on a flexible backing that could be velcroed to a wall or put in the very simple frame provided so that it could be put on any light stand or clamp. I asked if it was durable. To answer that he threw it down on the ground, still lit. Yeah, it’s durable. It’s currently only available in 56K colour temp, but he says they’ll soon have a bi-colour version of the same.